We’ve got your Saturday night covered. October 7 featuring DJ M Dot! 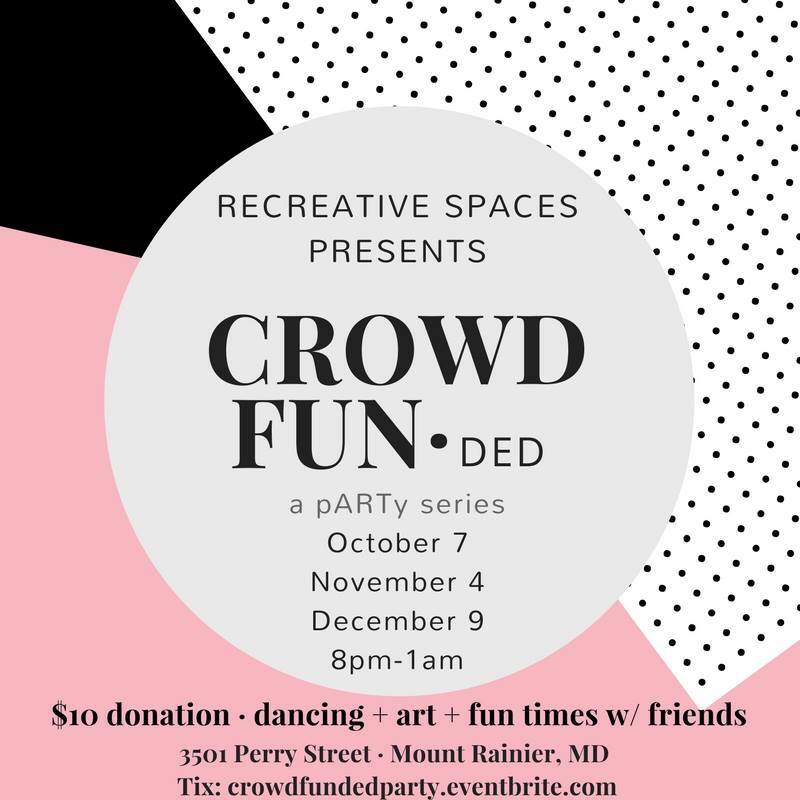 ReCreative Spaces exists to provide low-cost, high-awesome space to artists + communities. We need your help to keep this space and our additional projects thriving. Instead of launching a crowdfunding campaign, we’re doing what we do best… throwing a pARTy. Or three. We have a $2,500 goal per event. The money raised will assist us in completing Phase 2 of a facade improvement program (painting the second + third levels of the exterior of the building) + will support us in continuing to provide affordable space to artists and the community! If you would like to make a tax-deductible donation in any amount above $10, please visit our Fractured Atlas page here: http://bit.ly/donatetorecreative. THANK YOU for your continued support + love.